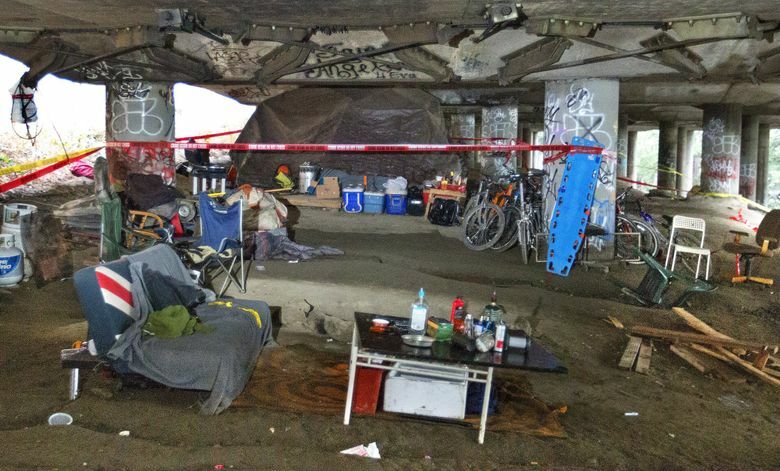 Two people were killed and three others were seriously wounded in January 2016 when gunmen opened fire on a homeless encampment under Interstate 5. Two of three brothers charged with murder and assault are about to stand trial in King County Superior Court. The most damning piece of evidence against two brothers accused of killing two people and seriously wounding three others at The Jungle homeless encampment may be a 90-minute audio and video recording of the teens discussing the January 2016 shootings, according to records filed in King County Superior Court. “The brothers eagerly admitted to (two Seattle police informants) their involvement in the homicide, shooting and robbery in the Jungle,” and they provided them with a detailed description of the shootings, say court records. During the same meeting in the homeless brothers’ tent near CenturyLink Field, one of the informants purchased a weapon allegedly used in the shooting, a .45-caliber handgun, with $500 provided by a Seattle police detective, the court records say. James and Jerome Taafulisia are about to stand trial on two counts of first-degree murder and three counts of first-degree assault in connection with the Jan. 26, 2016, shooting spree at “the Caves,” a former encampment within the sprawling, 150-acre Jungle that was shut down by the city that October. Jury selection in the case began Wednesday and opening statements are tentatively scheduled for June 25. James, who turned 20 last month, and Jerome, now 18, were 17 and 16 years old when they were arrested Feb. 1, 2016, along with their 13-year-old brother. While the older brothers were charged as adults, their younger brother was prosecuted in juvenile court and was found guilty on the murder and assault charges in May, court records show. The youngest brother wasn’t armed, but was a full participant in the robbery of a drug dealer that quickly turned bloody, say the records. Now 16, he will remain in custody until his 20th birthday and will then spend six months on parole as he transitions back into the community, according to disposition records in his case. The Seattle Times does not name minors who are convicted in juvenile court. Attorneys for all three brothers sought to suppress the recording along with evidence police gathered as a result of the brothers’ conversation with the informants, court records show. But the trial judge in the youngest brother’s case found the intercepted conversation was lawfully recorded and in October, the state Court of Appeals denied the brothers’ request for discretionary review of the trial judge’s ruling. 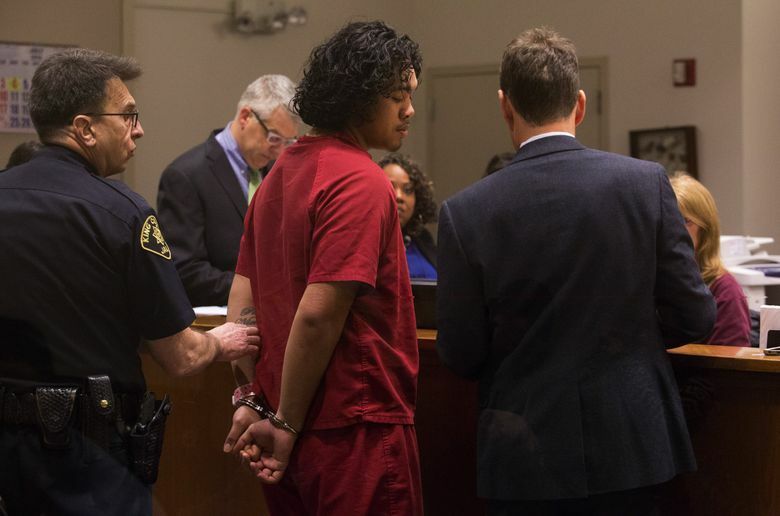 Based on witness statements and information gleaned from court records, police say the Taafulisia brothers decided to target Phat Nguyen, a drug dealer the brothers had been told regularly carried cash and drugs on him. It was already dark when four or five masked men dressed in black parked their bicycles at a recycling plant on Airport Way South and walked east to a campsite within the Caves, which once stretched from near Interstate 90 in Sodo all the way to the edge of Georgetown. They approached the camp from the south, coming up behind Nguyen, who was seated around a fire pit with several other people. Nguyen, 46, was shot in the chest with a .45-caliber handgun. Sitting next to him was James Tran, 33, who began to stand when Nguyen was shot, the records say. Tran, who was shot twice with the .45, died on the way to Harborview Medical Center. Nguyen’s 47-year-old girlfriend, Tracy Bauer, began screaming and was shot in the back. Amy Jo Shinault, 41, who had been sitting on a couch near the fire, begged the gunmen not to shoot her. She too was shot. One of the gunmen then pointed his weapon at Kenneth Duke, who was sitting at the fire. When the shooter asked Duke if he had a problem, Duke calmly said he was just trying to warm his feet. The gunman ignored him. Another suspect grabbed Nguyen’s bag and jacket. As the group ran away, one of the shooters fired a .22-caliber handgun into a tent, hitting 45-year-old Jeanine Brooks, who was also known as Jeanine Zapata, in the chest. She died at the scene. Shell casings from two handguns were the only physical evidence left at the scene. But there were no fingerprints or DNA found on the casings when they were later tested at the State Patrol Crime Lab. News of the shootings came just as then-Seattle Mayor Ed Murray was about to give a televised speech to defend what the city had done to address pervasive homelessness, including his November 2015 declaration of a state of emergency. Soon after the shootings, word on the street was that another man was responsible for the deaths, but it turned out he was in Federal Way at the time, say the court records. 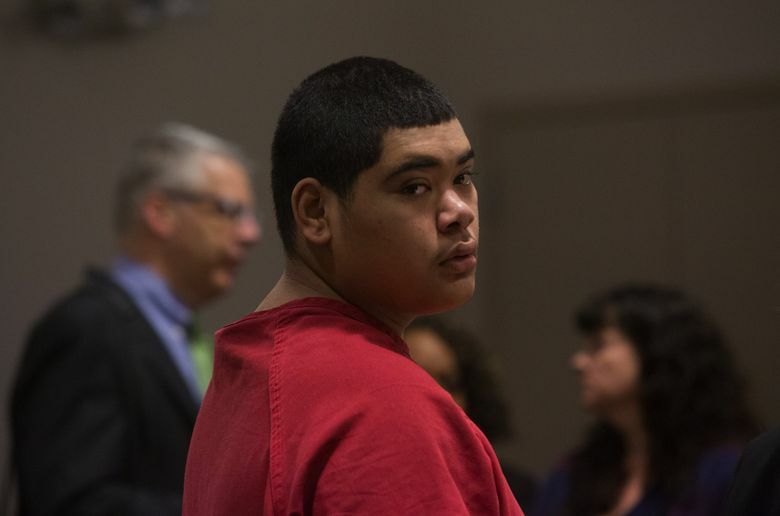 Around noon on Jan. 27, 2016, that man’s brother-in-law received a phone call from James Taafulisia, who warned that the Federal Way man was being implicated in the shootings. The man who received the phone call and his brother secretly recorded subsequent phone conversations with James Taafulisia and Taafulisia’s mother, who both said the three Taafulisia brothers were responsible for the shootings, court records say. The two men who recorded the phone conversations contacted Seattle police, say the records. The homicide detectives investigating the case knew the recordings were illegal because the men had not obtained consent from Taafulisia or his mother to record their conversations. But the detectives were able to use the men’s statements that James Taafulisia had admitted to them that he was involved in the shootings to get a warrant from a judge, authorizing police to use a wire, the records say. Both men agreed to act as police informants to clear their relative’s name and because they felt it was the right thing to do, say the court records. On Jan. 29, 2016, Nguyen — who was still being treated at Harborview — identified James Taafulisia from a police photo montage as the person who “pulled the trigger” on him, according to the records. The next day, the two informants secretly wore audio- and video-recording equipment provided by police and met with the Taafulisia brothers in the brothers’ tent, which was pitched near Fourth Avenue South and South Royal Brougham Way, the records say. In the recording, the brothers identified two other participants by their street names but police have never been able to identify them, the records say. When the informants asked about the guns used in the shootings, one brother showed them a .45-caliber handgun, which one informant purchased from James Taafulisia using $500 in buy money provided by police, say court records. When the informant asked about the .22-caliber handgun, the brothers said it belonged to their mother and they would need her permission to sell it, say the records. The informant turned the .45-caliber handgun over to detectives and the .22-caliber handgun was seized as evidence when officers later served a search warrant on the brothers’ tent. Both weapons were forensically linked to shell casings found at the shooting scene, the records say. According to police, James Taafulisia was armed with the .45-caliber handgun, Jerome Taafulisia was armed with the .22-caliber handgun, and the youngest brother was the person who grabbed Nguyen’s bag, containing a couple of hundred dollars in cash and small amounts of heroin and meth.